BOSTON (AP) — A street artist famous for his red, white and blue "Hope" posters of President Obama has been arrested on warrants accusing him of tagging property with graffiti, police said Saturday. 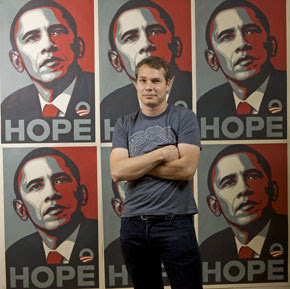 Shepard Fairey, 38, was arrested Friday night on his way to the Institute of Contemporary Art for a kickoff event for his first solo exhibition, called "Supply and Demand." Two warrants were issued for Fairey on Jan. 24 after police determined he'd tagged property in two locations with graffiti based on the Andre the Giant street art campaign from his early career, police Officer James Kenneally said Saturday. Fairey, 38, of Los Angeles, is scheduled to be arraigned on the misdemeanor charges Monday in Brighton District Court, said Jake Wark, a spokesman for the Suffolk District Attorney. Wark said Fairey would also be arraigned on a default warrant related to a separate graffiti case in the Roxbury section of Boston. The museum said Fairey was released a few hours after his arrest, but authorities did not immediately confirm that. 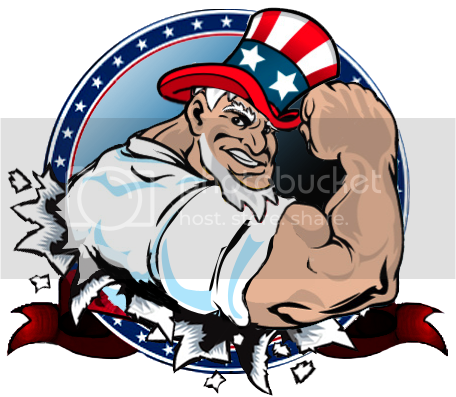 Fairey's Obama image has been sold on hundreds of thousands of stickers and posters, and was unveiled at the National Portrait Gallery in Washington before Obama's inauguration.